Nasal polyps are benign inflammatory growths that arise from the mucous membranes lining the nose and sinuses. Although polyps are benign (non-cancerous), they can lead to multiple problems. Because polyps occupy space in the nose/sinuses, one of the most common complaints from patients with nasal polyps is stuffiness. Other complaints include loss of sense of smell, nasal discharge, postnasal drip, sinus pressure/headache, and dry mouth from chronic mouth breathing. The diagnosis of nasal polyps made by physical examination as well as x-ray (CT scan). It is not known exactly what causes nasal polyps, but they are felt to be the end result of chronic inflammation in the nose or sinuses. This inflammation can be secondary to infection from a virus, bacteria, or fungus. Patients with environmental allergies, asthma, and some autoimmune diseases have also been observed to have an increased risk for the development of nasal polyps. Nasal polyps tend to be a chronic and recurring problem. The treatment of nasal polyps usually involves a combination of medications, allergy management, and endoscopic sinus surgery to remove the bulky polyps. Sometimes, nasal polypectomy is performed in conjunction with septoplasty to repair a deviated septum. Commonly used medications include topical and oral steroids, nasal antihistamine sprays, leukotriene antagonists, and saline rinses. If allergies are thought to play a role, then allergy management with oral antihistamines and allergy desensitization (allergy shots or sublingual therapy) may be appropriate. If the diagnosis of nasal polyps is made, your Otalaryngologist (Ear, Nose, and Throat specialist) can discuss what treatment would be best suited to your needs. TWO WEEKS BEFORE SURGERY: Non-steroidal anti-inflammatory drugs (NSAID’s) should be strictly avoided for 2 weeks prior to surgery. Medications in this family include: aspirin, ibuprofen, Advil, Motrin, Aleve, and naproxen. These medicines may increase the risk of bleeding. Also, discontinue all homeopathic or alternative medicines such as gingko biloba or ginseng. Many supplements also thin the blood such as Vitamin E and Fish Oil. These too, may increase bleeding and should be avoided for 2 weeks prior to surgery. NIGHT BEFORE SURGERY: No solid foods (that includes milk, cream etc.) for 8 hours prior to surgery. Typically this means no solid foods after midnight before the surgery. Small volumes of clear liquids may be taken up to 4 hours prior to surgery. This includes water, tea, Gatorade and coffee (with NO milk or cream). HOSPITAL STAY: nasal polypectomy and/or sinus surgery in children and adults is usually done as an outpatient and does not require an overnight hospital stay. On occasion, a patient may need to stay overnight. 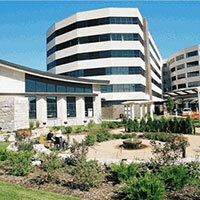 Check with your insurance company to see if this hospitalization is covered by your policy. A decision to admit overnight may be made after surgery if necessary. LAB WORK: If lab work is needed, it is done prior to surgery. If surgery is done as an outpatient, labs may be obtained just after the preoperative examination. Your insurance carrier may dictate the lab where the blood is drawn. The indications and risks of surgery, as well as expected outcomes, must be understood prior to proceeding with your surgery. In addition, you must understand your alternatives to the surgery. Your alternative is not to have the surgery performed, and continue with medical management of your problem. This would leave you in your current condition. The risks of nasal polypectomy/endoscopic sinus surgery will be discussed at the pre-operative visit, and should be completely understood by the patient prior to surgery. BLEEDING: with any surgery excessive bleeding is a risk. Bleeding is usually minor during nasal and sinus surgery. Occasionally, heavy bleeding is encountered, and this may impair the surgeon’s ability to safely continue the operation. If significant bleeding occurs during the procedure, then the procedure is terminated and the nasal/sinus area is packed. On occasion further intervention such as additional surgery or procedures might be needed to manage the bleeding. Also reported in our ENT literature, and fortunately extraordinarily rare, during sphenoid sinus surgery carotid artery injury could lead to stroke and life threatening bleeding. FAILURE TO CURE THE PROBLEM OR RECURRENT DISEASE: as in all sinus surgery, it is possible that the disease may not be cured by your operation and that recurrent disease or excessive or abnormal scarring may develop at a later time. This is especially the case with nasal polyps. In these situations, subsequent medical or surgical therapy may be needed. CEREBROSPINAL FLUID LEAK: three of your four sinuses are adjacent to the brain and intracranial contents. Operations on these sinuses carry a rare chance of creation of a leak of cerebrospinal fluid (the fluid that surrounds the brain) out the nose. Should this rare complication occur, it creates a potential pathway for infection, which could result in meningitis. If a spinal fluid leak should occur, it would typically require additional surgery. This repair may be done immediately, or at a later date. This would extend your hospitalization for required bed rest, IV antibiotics and observation. BRAIN INJURY: as noted above, three of the four sinuses border the intracranial contents and brain. Extremely rarely, injury to the brain tissue itself can occur. This is not a repairable injury. LOSS OF VISION/DOUBLE VISION: visual loss has been reported in the after polyp and/or sinus surgery. Although this loss of vision, when it occurs, may be temporary, there have been reports of permanent loss of vision. Fortunately, such a complication is extremely rare. Temporary or permanent double vision has also been reported after sinus surgery. This complication is also extremely rare. EYE WATERING: the tear drainage system lies immediately in front of the maxillary and ethmoid sinus. On very rare occasion, upon removal of these cells, the tear duct system will become blocked. Usually the problem of excessive tearing clears spontaneously without treatment. If it persists and is a problem, then surgical repair may be necessary. SMELL: our smell fibers (extension of brain nerve fibers) are found only in the top 1/3 of our nasal cavity. Typical sinus surgery does not impact this region of the nose. We wouldn’t expect sinus surgery to harm your smell sense, but it isn’t also intended to specifically help your sense of smell either. It would be a rare complication that you experience a diminished sense of smell from surgery. This would more likely be a result of the nasal/sinus condition you present to us with, and would require continued medical intervention in an attempt to help your sense of smell. RECURRENCE OF INFECTION OR POLYPS: polypectomy and sinus surgery are often performed for chronic or recurrent infections. The goal of the surgery is to try to reduce the severity and frequency of infections and, in the case of nasal polyps, to improve the nasal airway for ease of breathing. Most patients will have a reduction in the number of infections after surgery. If sinus infections continue after surgery, they are often managed differently than before the surgery. Now that there is better access to the inside of the sinuses, we will often prescribe more topical medicines sprayed or nebulized directly into the nose. In addition we may suggest obtaining culture specimens, as the bacteria that cause sinus infections after surgery are often different species than before surgery. Our goal with sinus surgery is to help you manage this ongoing chronic condition. Nasal polyps can be surgically removed, but due to the underlying inflammatory condition, they will often recur of years, and it is not unusual for patients with aggressive nasal polyps to require more than one operation over time. ANESTHESIA RISKS: you will be subjected to the usual risks of general anesthesia. As with any type of surgery, the risks of anesthesia such as drug reaction, breathing difficulties and even death are possible. Please discuss these risks with your anesthesiologist. Fortunately, with this procedure, anesthetic problems are exceedingly rare. OTHER RISKS: Occasionally some swelling and/or bruising around the eyes may occur. Blowing your nose hard in the immediate postoperative period is discouraged. This may result in nosebleed, and also may cause the temporary collection of air under the skin or swelling around the eyes and cheeks, which will spontaneously resolve. In the immediate postoperative period, symptoms of sinus pain, increased nasal obstruction and postnasal drip may persist and also a decrease in sense of smell may occur. You should anticipate 4-6 visits to our office over the 6-8 weeks following surgery until healing is complete. The procedure of postoperative cleaning - called sinus debridement - of your nasal/sinus area is a very important part of your care and may be performed beginning a week or so after surgery. This can help to prevent persistent or recurrent disease, and lessen the chance for adhesions or scar bands forming at the operative site. When performed, these procedures will be billed as separate charges from the sinus surgery. You can expect some bleeding for several days after the surgery and after each cleaning in the office. Gentle blowing of the nose and gentle sniffing mucus into the back of your throat generally is fine. Do not snort the blood very hard through your nose or blow your nose hard as this will promote more bleeding during the first few weeks. After two to three weeks, you will have thick, brown drainage (mucus and old blood) from your nose. This occurs as the sinuses begin to clean themselves and is a normal finding. No lifting more than 15 pounds, bending excessively or straining for one to two weeks after surgery since this may promote bleeding. No vigorous exercise until healing is completed. Do not resume aspirin containing products or NSAIDs until the majority of your postoperative healing has occurred unless this had been discussed with your surgeon along with your primary care physician and/or cardiologist. If you need to cough or sneeze, do so with an open mouth since this will prevent any excessive postoperative bleeding. Do not blow your nose until four to seven days after surgery. Use a saline nasal spray to cleanse your nose (Ocean Spray, Simply Saline, or by recipe from us) two to four times/day for the first 2 weeks after surgery. This will help prevent large crusts forming in your sinuses. Steroid nasal sprays may also need to be continued in the postoperative healing period. Check for clear, watery drainage from your nose, any visual changes, worsening headaches, or stiff neck and report it to us immediately if this occurs. 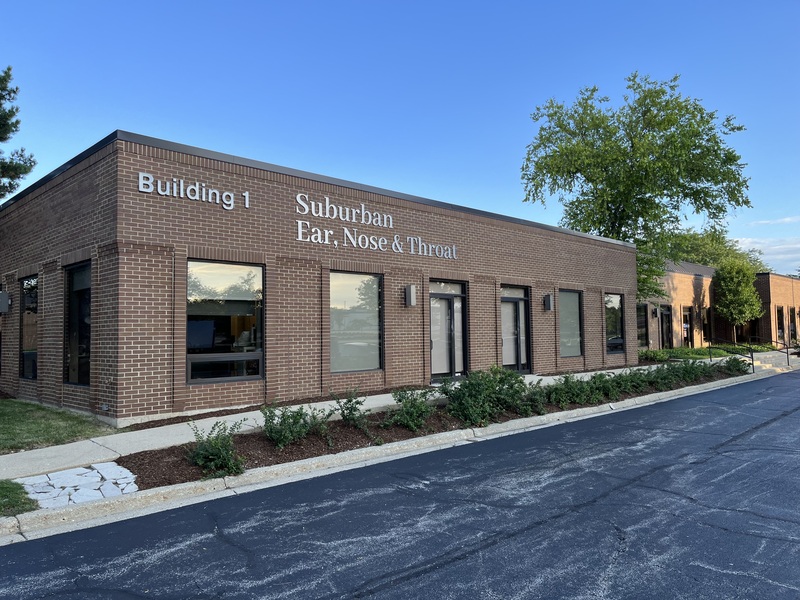 Contact us for any emergencies or problems at Suburban Ear, Nose and Throat Associates, Ltd.